The probate process is a process that many people are forced to go through when a loved one dies. It is during this process that the validity of a will is determined, that the estate is valued for estate tax purposes, and that creditors have the chance to make claims on the will. The probate process also offers a chance for a will to be contested and can determine who inherits under intestacy law when the deceased person did not leave a will behind. The probate process can be complicated, and those who have a legal interest in an estate being probated should have an experienced attorney representing them. SinclairProsser Law can provide invaluable assistance with the probate process. Our goal is to help you ensure the wishes of the deceased are respected and your inheritance is protected. Give us a call to find out more about the probate help we provide. 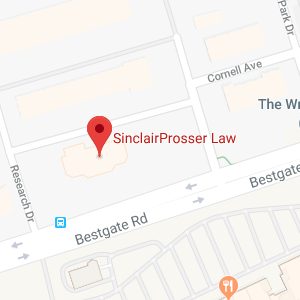 SinclairProsser Law can also provide you with additional resources and with personalized one-on-one advice as you go through the probate process. Because probate can be a time consuming and costly process, many people decide to make an estate plan that will allow their heirs or beneficiaries to avoid probate and inherit through other means, such as trust administration and pay-on-death accounts. If you want to help spare your family the stress and cost of the probate process, attend one of our Free Estate Planning seminars https://www.sinclairprosserlaw.com/seminars/ and learn about what type of estate planning best fits your needs.